Comment: Jeremiah proclaims the Lord’s intentions for the people, saying: “With weeping they shall come, and with consolations I will lead them back”. This one phrase brings to light the plan for God’s children, a plan that ultimately has all of them, from all places and circumstances, walking on straight paths, singing, laughing, dancing and rejoicing. What began in weeping will end in something much better. 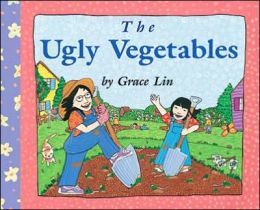 In Grace Lin’s book Ugly Vegetables, a similar turn-around takes place. While gardening with her mother, a young girl envies her neighbors who have beautiful flowers growing in their soil, while her family only has what she deems “ugly” vegetables. But when these “ugly” vegetables are harvested and cooked, they become a delicious stew that everyone else wants to try as well! What started out as ugly became wonderful and enticing, and a cause for celebrating. In the same way, the people to whom Jeremiah speaks will find that, as God’s children, they will be led from weeping to consolation and that all things will end with singing and rejoicing. Comment: Johnny B. Hill writes that this passage “confronts the notion that we are independent, autonomous persons and that success depends on being able to live independently from others” (Feasting on the Word, Year A, Volume 1, pg. 184). Here, instead, we find that we are deeply dependent on God, on Jesus Christ, and on the Holy Spirit. But instead of betraying our weaknesses so that we are taken advantage of, this dependence improves our lives—we are blessed, chosen, redeemed, and marked with a seal because of this deep dependence on God. This dependence is a relationship of love and care, in fact. Similarly in Big Sister and Little Sister, the littler sister feels that her older sister’s caring is too much and runs away to hide. But when her older sister searches for her, and begins to cry, the little sister realizes how much her elder sibling loves her. The sisters are reunited and find that they are better for being with one another, and taking care of each other together. We, too, are not made to be self-sufficient from our loving God—we are called to realize the depth of God’s love for us, and to live dependently as blessed, chosen, redeemed children. Comment: The prologue in John starts at the very beginning of time, and progresses through the point when “The Word became flesh and lived among us”. From divine origins with God, to, we know from other accounts, a manger bed, the Word made flesh came into our lives, and “we have seen his glory”. This progression of events demonstrates God’s power and plans, but more importantly, God’s love for us. The word came and “lived among us”, not merely for God’s own pleasure, but so that we would be given the power to “become children of God”. What began in the cosmos ends with a relationship of love, of knowing the Father’s heart. In The Apple Pie that Papa Baked, we know from the beginning that the final result is a warm apple pie, but we are then shown the progress from apples that grew on a tree, watered by rain, that fell from the sky, and so on—and we discover the cosmic implications of this baked apple pie. And not only that, we discover the love behind it, as a young girl and her father share the pie that he baked for her, which came out of that cosmic progression. Apples became a pie, and the Word became flesh, and in all of it is the certainty that what drives all things, ultimately, is love. The Lectionary Links this week are written by Union Presbyterian Seminary alumna Sara Anne Berger, pastor of the Whitmire Presbyterian Church, Whitmire, SC. Lectionary Links: Sunday, January 5, 2014 by Storypath is licensed under a Creative Commons Attribution-NonCommercial 4.0 International License.